The weather continues to be perfect, well, almost. Most of the nights are still well below the temps that many of the veggies like and they are not growing as fast as they should be. I am a bit worried about the few okra plants that survived as they really prefer much warmer weather. I have finished harvesting the 'Bear Necessities' kale seed so I have mowed the beds down which mulches up the old plants and adds the organic matter back to the soil. This way of treating the old plants is really paying off as my soil on this block is getting better and better. It is hard to think that only three years ago it was pure sand. 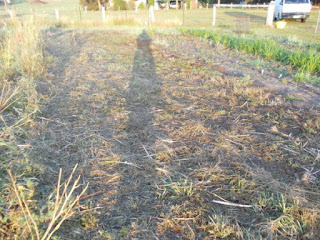 I have enough time to rotary hoe these couple of beds and plant something else there before Christmas. Might go for melons. 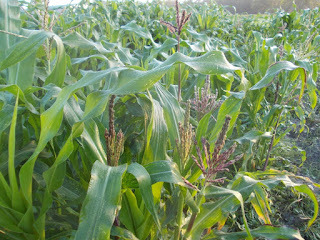 The 'Painted Mountain' flour corn is starting to flower now, it is always the first. I love this corn, not only because the cobs are so pretty, but because the plants are so tough and quick growing. It also copes with germinating in cooler temps than other corn so you can get it in earlier. 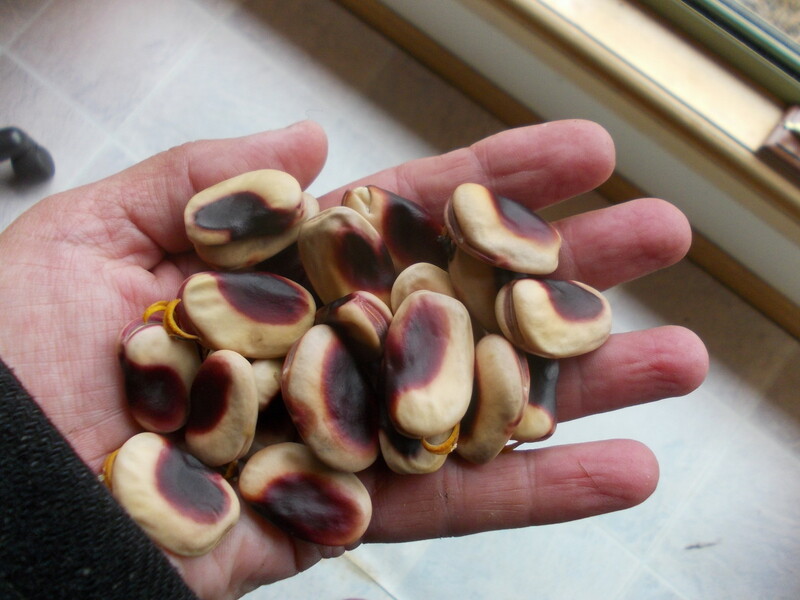 Just finished harvesting the 'Senoritas Hat' broad beans. I didn't plant much broad beans this year because I had a few small amounts of seed of some varieties that I had to grow out and didn't want them crossing. Next year I will do some big plantings as I have a company want to buy some seed of interesting broad bean varieties. It's all happening now. Summer is here.